Home / Points of View / Nigeria Air: Repeating the mistakes of Nigeria Airways? NIGERIA Airways Limited, a liquidated airline founded in 1958 after the dissolution of West African Airways owned one hundred percent by the government of Nigeria was an example of a mini Nigeria with leadership and operation not different from how the country runs. There is a cry for the government of Nigeria to establish a new Nigeria Airway. In my own opinion having a national airline owned by government is now old fashion globally. Airline business is like every other business. The downfall of Nigeria Airways had been listed as Management failure, Government interference and many more by me as a Transport Postgraduate Student of Ogun State University Ago-Iwoye, Nigeria. Personal, further investigation and research into why the airline failed many years after revealed the major reasons as “Gang up” from various stakeholders and the inability of the past leadership of the airline to identify these major problems which particularly included government interference, sabotaged maintenance and inability of NAL to procure component parts resulting from international airline conspiracy as there is not going to be any difference if the Nigerian government establishes a new airline without ensuring they can deal with these factors. It is pertinent to mention at this stage that our mentor and role model, I mean the BA, Virgin Atlantic, Delta Airline are not owned by their country’s government but are just flag bearers. The benefits of having a National airline cannot be over emphasised as high fares for trips of same mileage, for example: BA and Virgin Atlantic charging fares between £350 – £450 return travelling from London to New York which is the same distance as London – Lagos (Return) and because there is no competition from indigenous airlines has resulted to exploitation of Nigerian air travellers on international routes. I am aware of private airlines like Arik and Belview airlines that had also failed internationally for the same reasons as Nigerian Airways. At some point the government merge with Virgin Atlantic airline proprietor Richard Branson to establish Virgin Nigeria. It was a good intension with a faulty deal with a very smart business entrepreneur. I wonder why the negotiators thought that Branson was going to give them the clue on how to compete with Virgin Atlantic airline which he is the Chairman. It is human to think that Ex-President Olusegun Obasanjo made a mistake when he shot down Nigeria Airways in 2003, he gave his main reasons as NAL had about 32 aircrafts when he handed over power to the civilian government in 1979 and allegedly met a single operational Boeing 737 in 1999 with all other Boeing 737 and Airbus aircraft grounded. What he did not know was the unidentified facts about airline business which strongly need international connection to fight foreign conspiracy directly and indirectly. The same conspiracy had been used to suspend or stop our indigenous airlines operating international flights from Nigeria to Europe. In February 2018, I flown the Virgin Atlantic plane from London to Lagos as usual (Frequent flyer) and Ex President Olusegun Obasanjo was on board, we greeted each other but I couldn’t talk to him about Nigeria Airways, throughout the flight I tried to imagine what was going through his mind as Ex-President of Nigeria flying a private British airline. Nigeria airways suffered Social, Engineering, Political and Economic woes of which are still being experienced in Nigeria of today with the governments still clueless as to the way forward. Nigeria Airways was killed while the rest of the family members for example Power Sector struggles till today. However, despite the injustice inflicted on retired members of staff which arose from their premature retirement, many of whom are dead and others whose final entitlements had not been completely paid despite plea from union and promises from government for 15 years. Is the government embarking on another project that will fail with a likely court injunction preventing the take-off, hence settlement of areas and full payments of gratuity is inevitable. The Senate approval to pay pensioners is not a favour but their responsibility. What I cannot understand is why it has taken this long and how long more the pensioners have to wait. Airline Operation is not the business of government, I would suggest that Nigeria government buys not more than 10% of the investment and encourage Nigeria entrepreneur to buy 20% and sell 30% to the public and 40% to foreign investor with connection in aviation industry in Europe. From grapevine, the Nigerian Government is trying to form alliance with Ethiopian, and Qatar Airlines to float a new national airline named “ Nigeria Air “ I am slightly relieved but I don’t think considering the Nigerian factor that a genuine deal, in the interest of the people and government will be achieved. The latest news is that a Nigerian Minister of State for Aviation Hadi Sirika unveils the name and logo of Nigeria’s new national airline at the Farnborough international Air show in London on July 18, 2018. Why did the Government of Nigeria have to go to England to unveil or launch any project, it is like playing into the hands of your enemies I guess it is the end of a brilliant intention as the conspiracy started immediately. Nigeria’s government needs to learn from the mistakes of the past. I was not too young in the early 80’s, I was listening to news broadcast and I heard the British government praised Nigeria economy and made reference to one pound sterling as an equivalent or approximately one naira. Not too long from then our economy crashed. Today £1 is exchanged for N485 naira. A word is enough for a wise person. I advise the FGN to be careful in their dealing and negotiation and keep professional secret. Do not count your chickens before they are hashed. The Minister of State for Aviation recently lamented about failed negotiation with Lufthansa Airline; he gave one of the reasons as demand by Lufthansa to open a foreign account for Nigeria Air outside the shore of Nigeria. What do you expect? Is that not a good idea rather having to rely on CBN for foreign exchange? If the negotiators are genuinely reasonable, unbiased why did they not accept Lufthansa’s offer with minor review hence government is investing and would have only 5% stake as reported by the aviation Minister of State .In my opinion, Lufthansa has economic and political power as well as all resources to sustain the deal. Applying SMART and other theories would help but not without natural and business challenges. However, the ability of the management to cope and effectively deal with the challenges are very important as they are inevitable and may be peculiar to Nigerians factors, international conspiracy and mentalities of foreign investors and consultants. The choice of airline to partner with should be one of the major players in the aviation industry with sound management and credibility. The contract must be based on engineering know how, age and air worthiness of aircraft to be provided which should be brand new but if refurbished must not be more than 5 years from the day of manufacture. It is a welcome development. 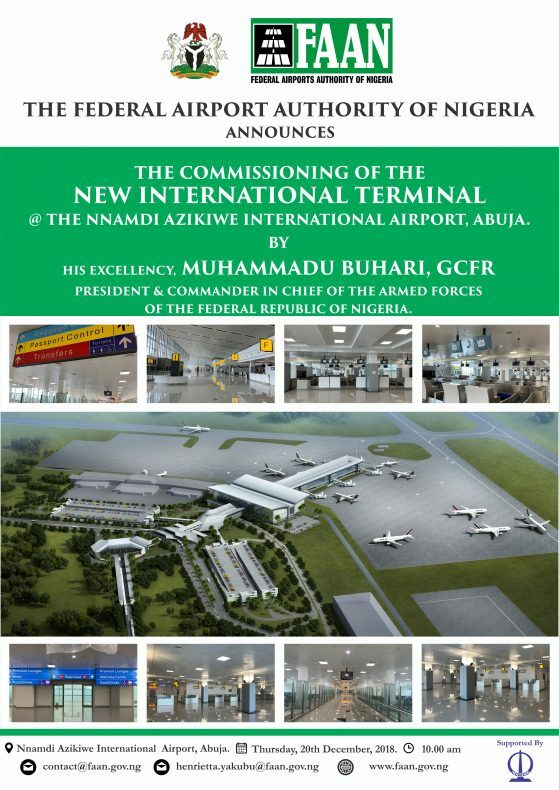 Well done, Federal Republic of Nigeria for coming up with this laudable project. On the issue of Nigeria Airways referred to in this article as “Mini Nigeria” The Ex- President of Nigeria, Olusegun Obasanjo was at the centre of it all because he disbanded the airline. As Nigeria Airways was a replica of Nigeria with lots in common in terms of Federal Character (zoning), bad management corrupt practices to mention a few had always existed in governments and other sectors since 1979. There were lots of other sectors under the leadership of OBJ that failed even till date except the communication sector that was shut down and privatised. If the same yardstick he used for NAL was to be used for Nigeria as a Country, Nigeria would have been re- colonised by now because Nigeria governments has failed in the same way Nigeria airways allegedly failed. President Olusegun Obasanjo’s main regret was that he did not fix power sector during his tenure of office. He admitted this in his handover speech in 1999. The economy improved very well during his tenure that he left over 65 billion dollars for Ex-Presidents Yaradua and Jonathan led- government to allegedly loot. It is unfortunate; he should have spent parts of the money for the development of the Power, Transportation and Agricultural Sectors which are the catalysts to the development of every great nation and pay back more of the nation debts. Uncle OBJ had 8 years to perform and deliver us from darkness and fulfil all his campaign promises as President of Nigeria. I know it is not easy to govern a country of over 180 million people but I thought he was going to be able to silence the cabals. The present government has failed to provide basic amenities of life for example provision of Employment, Water, Education, Health, Electricity and Construction of Federal Roads. 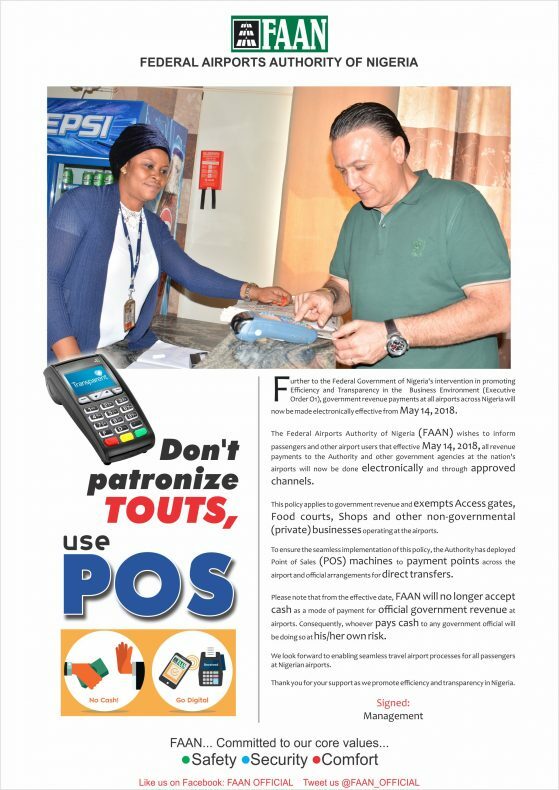 I stand to be corrected but I have not seen any laudable projects completed by the Federal Government. What disguised me mostly is when leaders who are supposed to be servants of the people whether in their official capacity as President, Senators and Ministers celebrate every single kilometre of road constructed or maintained which is actually government responsibility in the first instance. The government might be thinking that most people do not eat from the bin and therefore think the government is doing well. The budget is not circulating we are presently being sustained by several billion of foreign exchange sent home legally and illegal by Nigerians abroad. I can now conclude that every Nigerian home and abroad needs to pray for God to raise Army of political servants with genuine interest to lead Nigeria in 2019. Tags Nigeria Air: Repeating the mistakes of Nigeria Airways?